Until his untimely passing in 2012 at age 75, Calvin Miller was one of the most beloved authors in Christian publishing for nearly 40 years. He was the author of more than 100 works of fiction, nonfiction, children’s books, poetry, devotional books, Bible projects, anthologies…whatever could be written, he could write it. He was a true Renissance Man. He is perhaps best known for writing The Singer Trilogy (The Singer, The Song and The Finale) in the mid-1970’s. But he also write The Book of Jesus, Into the Depths of God, The Path of Celtic Prayer, andLetters From Heaven. As a speaker he was deep, funny, engaging and vulnerable. As a seminary professor, he was the type of teacher everyone wanted to have as often as they could. He cared about people, and he also cared deeply about God’s Word. He spent his life trying to make it as beautiful and accessible to others as it was to him. He succeeded in every way. Calvin grew up in Enid, Okla., and graduated from Enid High School. He attended Oklahoma Baptist University, graduating with a B.S. degree in 1958. He attended Midwestern Baptist Theological Seminary in Kansas City, graduating with a Master of Divinity degree in 1961 and a Doctor of Ministry degree in 1975. In 1959 he was married to Barbara Joyce Harman. They raised two children: Melanie and Timothy. His first full-time pastorate was Plattsmouth Baptist Church, Plattsmouth, Nebraska 1961-1966. He went to Westside Church, Omaha, Nebraska in January 1966, where he served as senior pastor for 25 years. During his pastorate the congregation grew from 10 members to more than 2500. From 1991-1998, Miller served as Professor of Communication and Ministry Studies and Writer-in-Residence at Southwestern Baptist Theological Seminary, Ft. Worth, Texas. In January 1999, he joined the faculty of Samford University’s Beeson Divinity School in Birmingham, Alabama, where he retired as Professor of Preaching and Pastoral Ministry. His voice will be greatly missed, as he had an astute eye for commentary on matters relating to the Evangelical Church. 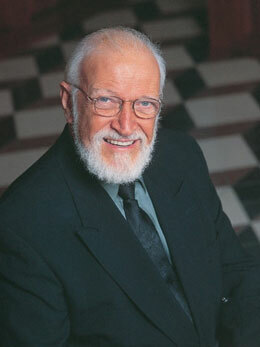 His last book will release in the summer of 2013 from Baker Publishing, and it’s called The Vanishing Evangelical.